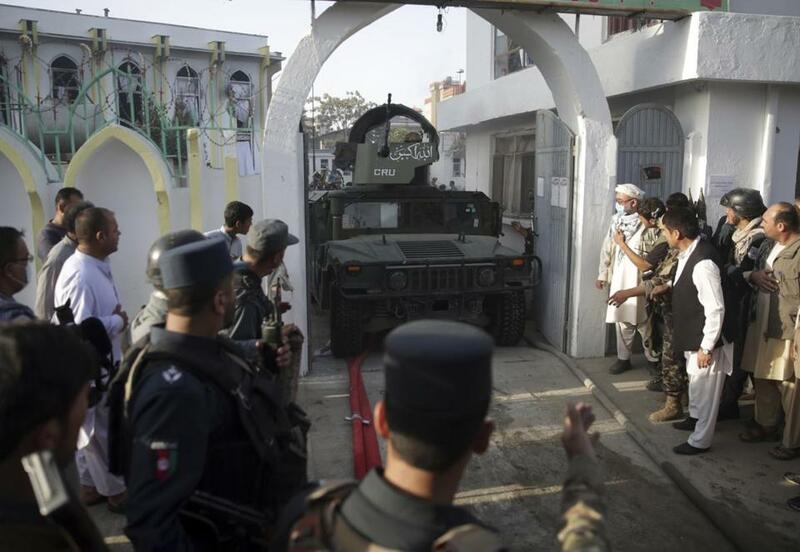 A military vehicle exited after an attack on a Shi’ite mosque in Kabul on Friday. For years Donald Trump called for an end to America’s war in Afghanistan. Yet as president he has quickly decided to expand the war. Since Trump’s presidency fails daily on so many levels, it’s easy to overlook an important lesson of Trump’s awful Afghanistan decision. The Afghanistan war is both tragic and absurd. Starting in 1979, the CIA funded Islamic jihadists (including Afghan fighters called the Mujahideen, and indirectly, Arab fighters that became Al Qaeda) to fight the Soviet-backed Afghanistan government. Since then, with an interlude in the 1990s, the United States has been at war in Afghanistan. One could chalk it all up to another CIA harebrained scheme, though this one is worse than most, inaugurating an era of war and blowback terrorism that has lasted nearly 40 years. When Obama directed the killing of Osama bin Laden, at least he could have explained to the American people that Al Qaeda was America’s Frankenstein’s monster facilitated by extensive CIA funding in Afghanistan and Pakistan. The new Trump round of escalation will yield no benefits for our country or any other. We will spend tens of billions of dollars more to kill more Afghans, prolong that country’s destabilization, return Americans home maimed or in body bags, foment atrocities on both sides, and do nothing to staunch terrorism. 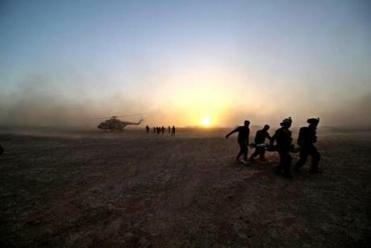 Terrorists can establish cells in countless places throughout Africa, the Middle East, and Central Asia, even if they were to be pushed from Afghanistan. The decision-making process, though, was revealing. Trump opposed the war, one of the few areas where his foreign policy positions made sense. Yet he acceded to the generals. He is surrounded by three father-figure generals: White House chief of staff, national security adviser, and secretary of defense. The generals did what generals do: They viewed Afghanistan through a military lens and mustered a can-do promise of a military path to American victory. The underlying problem, of course, is that countries like Vietnam, Afghanistan, Iraq, Syria, and Libya do not pose military challenges for the United States, but rather diplomatic and developmental challenges. Even when the United States “wins” such a war, as it did in Afghanistan in 2002, Iraq in 2003, and Libya in 2011, the United States can’t win the peace. This is a seemingly trivial point, but perhaps not so to the CIA and many generals. As French leader Georges Clemenceau famously said, war is too important to be left to the generals. Yet American politics now leaves war to the generals. Not only did Obama and Trump both defer to the generals who argued for open-ended war in Afghanistan, but in both cases and many more, Congress didn’t even raise a peep. Article I, Section 8, Clause 11 of the Constitution, which assigns Congress the authority to declare war, is essentially null and void. With regard to economics and finance, the keys to the kingdom are now in the hands of Wall Street, and notably the primus inter pares of Wall Street, Goldman Sachs (a different Sachs, I must emphasize). Goldman Sachs has staffed the top economics teams of all administrations since Clinton. Trump’s economic team is headed by National Economic Council director Gary Cohn, a former president of Goldman Sachs, and Treasury Secretary Stephen Mnuchin, a former chief information officer at Goldman Sachs. Step by step, our political institutions have been captured by the narrow interest groups that government is meant to oversee. Generals decide on wars; Wall Street on finance; oil and gas companies on energy policy; drug companies and health insurers on health care policies. The general interest is subordinated to the special interests. Trump isn’t draining the swamp. He’s turning it into a Trump resort and cashing in. Aristotle taught that politics is about ethics and the common good. America’s restoration depends, with rising urgency, on the return of politics to the common good.